For the first time in five hundred years, pandurs and vampires need to work together and defeat the new breed of vampires that threaten to upset the current order of things. Liana Cantacuzino travels to New Zealand to find the new breeds and their makers, but even with the help of her friends, Maximilien Hess, Dr. Jesse Carver and Radu Basarab, the task turns out to be close to impossible to accomplish. The enemy is vicious, always one step ahead, and has no respect for any kind of life, including its own. With a prize put on her head, unreliable informers, exploding arrows, and turned pandurs, Liana has to lead what’s left of her troops through a terrible siege, while struggling to keep Jesse safe and fight for her own survival. 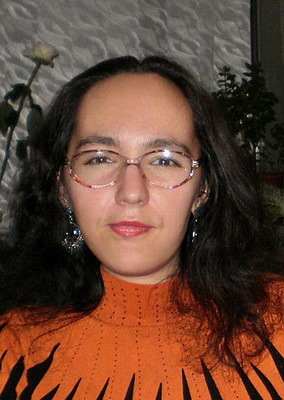 She made her debut in English with a short story published by Every Day Fiction, and also has one included in Evolved Publishing’s “Evolution: Vol. 2” short story collection. After fighting the apocalypse aftermath in “Human Instincts”, she played with shapeshifters in “Blue Moon Café Series: Where Shifters Meet for Drinks”, and then she dealt with vampires in The Impaler Legacy saga, before tackling longer works like a fantasy trilogy and a science fiction series.